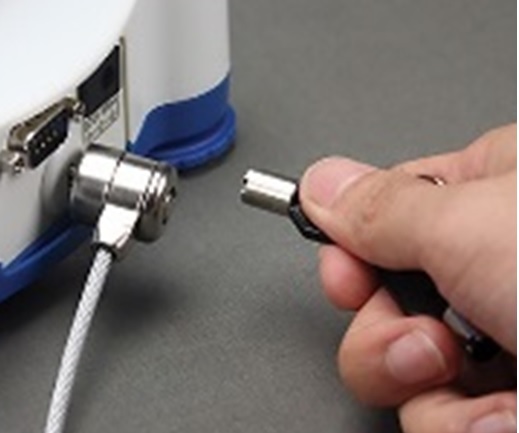 Cable lock has hidden pin technology which ensures tubular lock is difficult to pick. The T-Bar Locking Technology attaches to the Kensington Security Slot found on virtually all projectors and laptops. Carbon steel, 6 ft. cable is cut-resistant and anchors to desk, table or any fixed structure. Cable coated in protective PVC. The Kensington Security Slot has been the industry standard since 1990.